Some people think the bigger and heavier a vehicle, the less of a reason for winter tires. When the fact is size and weight contribute to increasing a vehicle’s average stopping distances. Another common misconception is that all-season tires are enough in winter conditions. However, at 7° Celsius, the rubber compound in all-season tires may start to lose elasticity, resulting in reduced traction. For more information on how best to handle winter driving, watch our videos. The total package for winter driving. 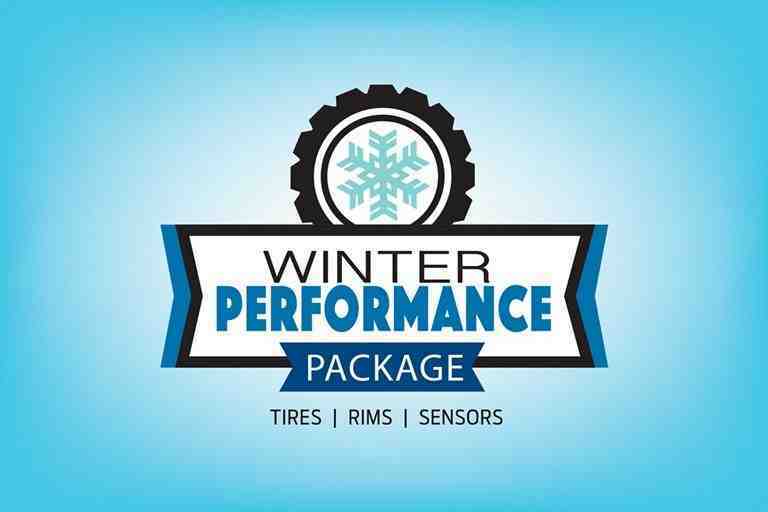 Winter tires, rims, sensors and expert tire advice - The Winter Performance Package56 is everything you’ve come to expect at Ford Service, including great value. Plus, equipping your Ford with The Winter Performance Package could save you money on insurance. This season, get exactly what your vehicle needs, including a sharper look and better control, all in one place. Tested and true winter tires for you. When you buy or lease an eligible 2018/2019 Ford vehicle, get the Ford Winter Performance Package included at no-extra-charge! Includes (4) Winter Tires, (4) Tire Pressure Monitoring Sensors, and choice of (4) Steel or Aluminum Wheels. Or, take the Customer Cash Alternative - a value of $600-$1,500!